Golden Treasure’s peppers are so beautiful that we have even included them in flower arrangements. 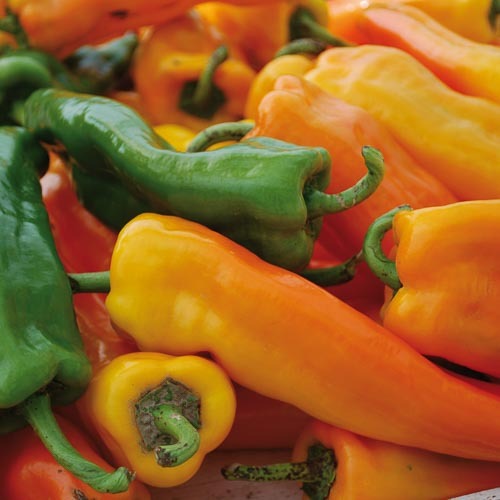 This Italian variety bears 9"-long fruits that ripen from green to shiny yellow and are excellent for frying, roasting, and fresh eating. Sweet medium-thick flesh and tender skin. 80 days from transplant. Sweet.